It looks like Atharvaa Murali starrer Kuruthi Aattam is getting emblazoned with more inclusions of power houses. From the alpha point of its inception, the film has been thronging up with myriad of such personalities of high potentials. 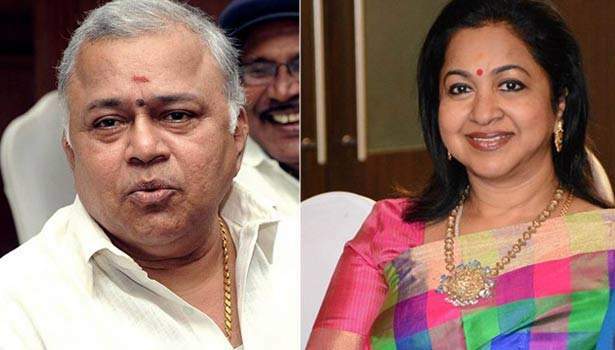 The latest ones to adorn such an instance are none other than the veteran actors Radharavi and Radhika Sarathkumar. These wizardry actors will be seen playing crucial roles in this raw and rustic action thriller, directed by Sri Ganesh. Bankrolled by T Muruganantham of Rockfort Entertainment in association with BIG PRINT Pictured I B Karthikeyan, the film is an intense action thriller revolving around the life of gangsters.